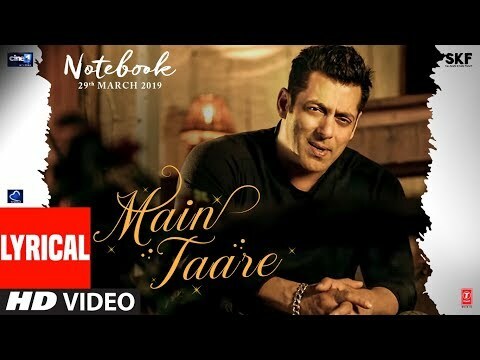 Presenting the Lyrical video song "Main Taare" from the movie "Notebook ", The song is sung by # Salman Khan and composed by Vishal Mishra. The movie features Zaheer Iqbal And Pranutan Bahl in leading roles. Movie #Notebook is about two people finding love in the most unexpected way. ♪ Orchestra Recorded at: Macedonian Symphonic Orchestra Studio. ♪ Orchestra Coordinator: Andrew T. Mackay / Bohemia Junction Ltd.